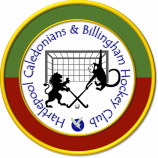 The Club runs a combined ‘Into and Back To Hockey’ programme at St Hilds School, Hartlepool on Wednesday evenings in late summer between 6:30pm and 8:00pm. Qualified coaches are there to teach newcomers to the sport, or those with previous experience. All ages were welcome to attend. There is no charge. Come and try an Olympic team sport in which GB excel. All Hockey Equipment provided. Participants will require their own sportswear. For further information contact Club Secretary, Paul Saunders , or Hockey Manager, Gavin Wise , or Senior Coach, Johnno Leck . There are many courses held over the north east for club members to enhance their individual skills. If you’re interested please speak to your team captains or the club secretary for further information. The club usually covers all costs.